Exciting news for actress Amanda Seyfried! 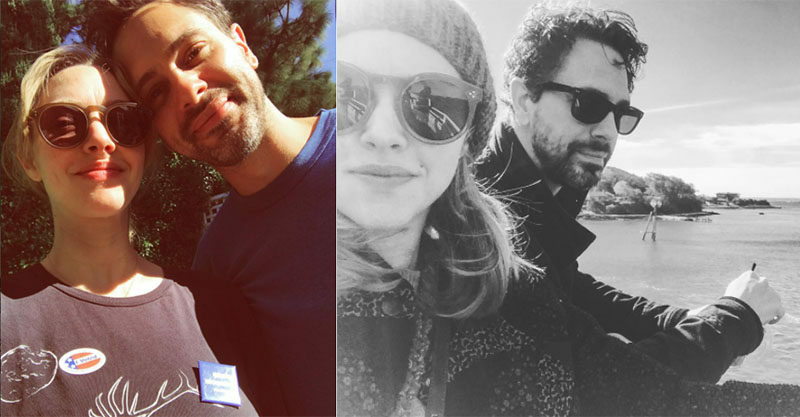 The 30-year-old is expecting her first child with fiancé Thomas Sadoski and we couldn’t be happier for the loved-up couple. Debuting her tiny bump on Tuesday evening at the Givenchy press launch for their new Live Irrésistible fragrance, Seyfried’s rep confirmed to People the pair are expecting. Dressed in a black sheer mini dress, the Mean Girls star proudly showed off her petite baby bump at the event. The couple met while performing alongside each other in last year’s off-Broadway play The Way We Get By. But it wasn’t until they reunited on the set of their upcoming film The Last Word that their relationship blossomed into something more. Their engagement was confirmed in September after Seyfried was spotted wearing a silver band on her ring finger while out walking her beloved dog Finn in New York City. The actress has previously spoken about her desire to have children. In an interview with Marie Claire UK in August last year, the star joked that she felt the clock ticking. The usually private pair have recently posted some loved-up photos on Instagram. This will be the first child for both Seyfried and Newsroom actor Sadoski, 40 and we can’t wait to hear news of their tiny bundle’s arrival next year.